Seris is probably the most loved Healer in Paladins, so let's see what makes her unique, how to use her skills & talents and the best loadouts for every scenario. 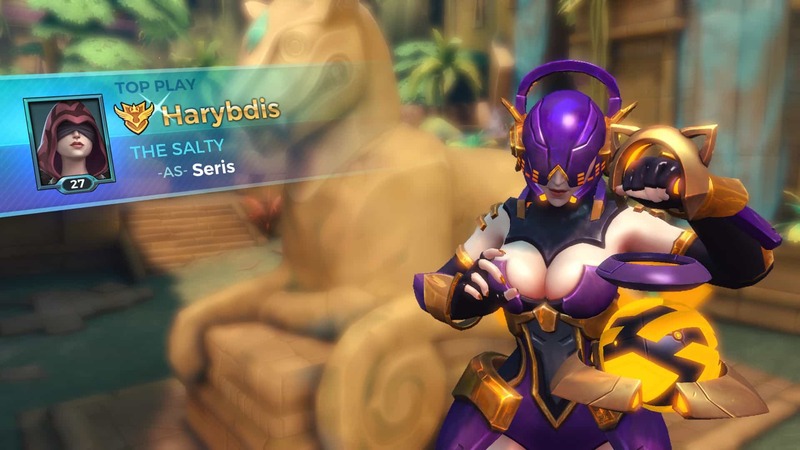 Seris has taken the name of the city she completely destroyed, when she very first came in the world of the living. Her weapon attacks capture the souls of her enemies to give life back to her allies. 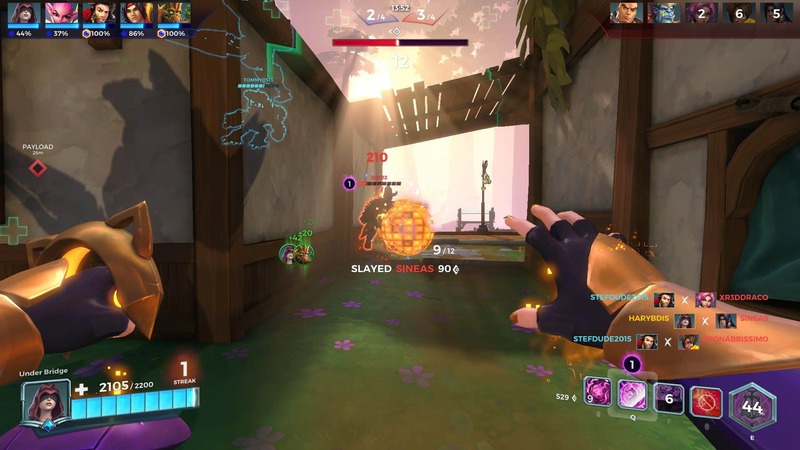 Seris was released on April 19th, 2017 during the OB (Open Beta) 0.48 version. 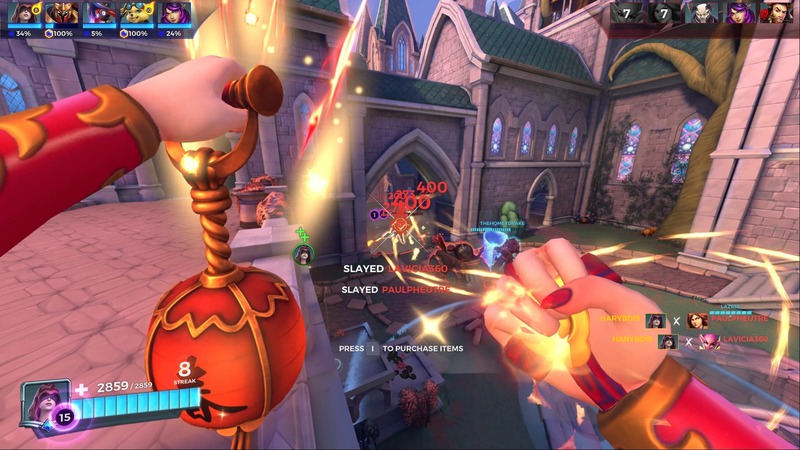 She is one of the most capable Supports in Paladins, but don’t underestimate this champion’s damage skills as well, as she can grow stronger and far more dangerous if the blood on the battlefield needs to be settled. Her weapon attacks are basically “steam of magic projectiles” that comes out of her hands, dealing 210 damage every 0.3s. These projectiles pass through enemies and apply a Soul Orb stack with every hit, that stacks up to 4 times. It is considered as AOE damage, so it can be countered by “Blast Shields” item. 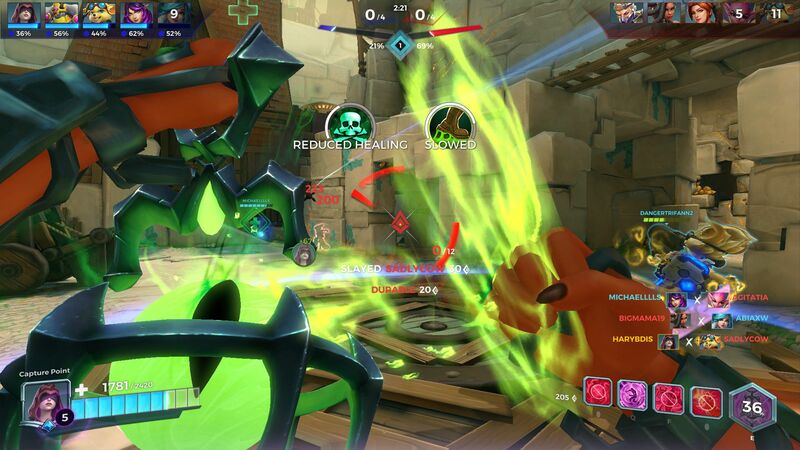 This is the healing ability of Seris, and it’s one of the strongest among Paladins Support Champions, healing all allies within 50ft of your target for 30% of the healing value at base, which is 1000 health every second for 2s. This is why this healer is suggested for a 2-tank-build, either for a well grouped team. The cooldown of “Restore Soul” is pretty low by using the “Soul Forge” card on level 5, which gets your cooldown from 4s, down to 2s. That means you don’t need the “all-time-favorite” item that healer use, “Chronos“. The best choice is “Nimble” to make it easy to reach allies fast, and escape flanks even faster! 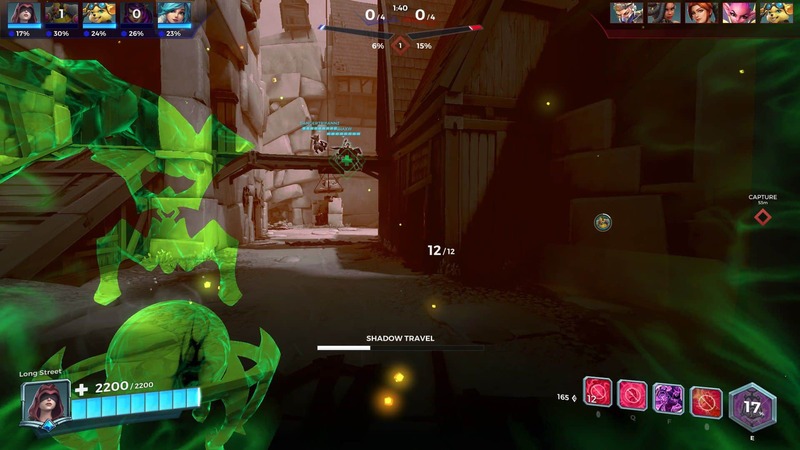 Every Support needs an escape ability, and for Seris is the “Shadow Travel” ability. Step into another plane of reality for 4s. While this ability is active you are in stealth and immune to all harmful effects. The ability’s cooldown is 14s, but by using “Fade to Black” card, you can get it from 0.8s to 4s lower. Be careful though. It takes some time for the ability to cover you in stealth, so don’t wait for the last 200-300 hp of yours to activate it, because you might not be able to cloak fast enough to safety. Use it to recruit with your allies when they need it without having to face all the damage that is dealt on battlefield. “Rend Soul” is basically a synergy with your basic weapon attack. You detonate all of your active Soul Charges, dealing 100 damage to the afflicted enemy for every charge detonated. Every charge detonated also heals you for 15% of your maximum life. If you are not using “Agony” or “Soul Collector” talents, focus on reducing its cooldown from 10s, down to 7.5s, by leveling up the “Wickedness” card. I don’t suggest to take chronos to lower it even more, as i find it enough to protect yourself several times in a this brief time of the cooldown. Seris’ ultimate ability is one of the best Support ultimate abilities. She throws her soul in the middle of the battlefield. After a delay, it will manifest and drag in nearby enemies. The reason that makes it this strong is because when this ability is combined by other ultimate abilities can give your team an easy penta kill. Some of these ultimates belong to Dredge, Skye, Viktor, Lian, Jenos, and many more. Also by using “Agony“, you can stun more enemies at once, and give your ally sniper an easy target to exterminate. My personal favourite is the “Soul Collector” talent. With each Soul Charge you detonate, you increase your maximum health and weapon damage by 2% until you die. Soul Charges can stack up to 15 times. 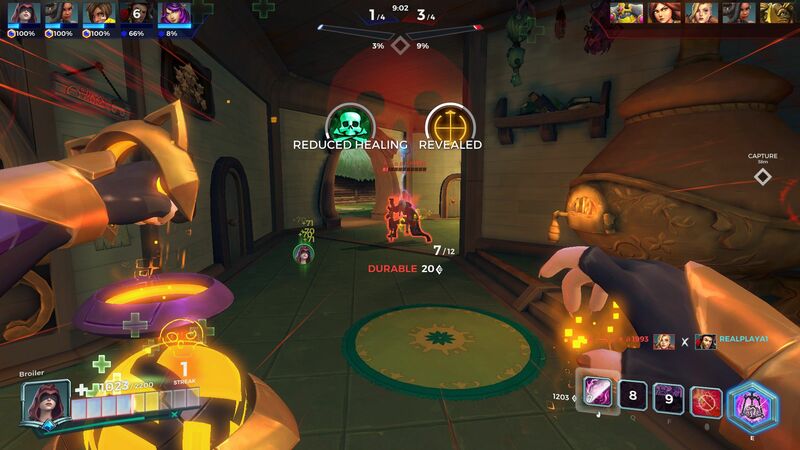 Seris is turning into a killing machine with this talent, without losing her awesome healing abilities! She gets far more sustainable and her damage can out-damage some flanks, and even if not, her damage is enough to scare them away. Try to detonate as many “Soul Charges” as you can, 3-4 soul charges and don’t deserve to waste the cooldown of your “Rend Soul” ability on just a few charges. 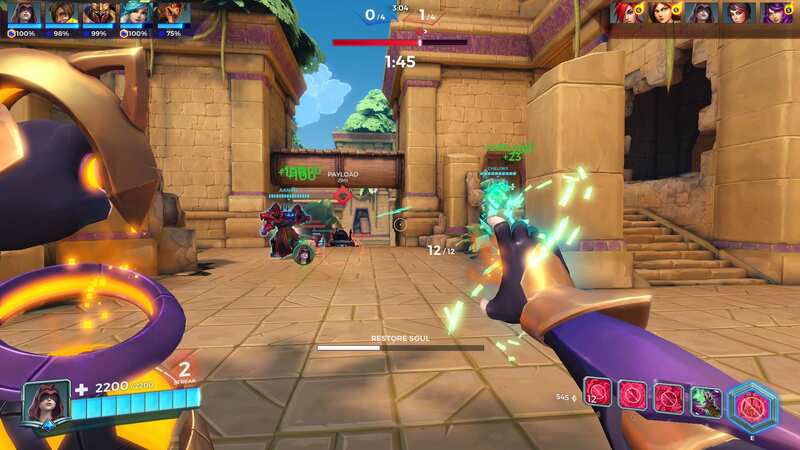 Better be used when there is no consistent damage such as Tyra, Vivian or Viktor, but instead you got a Kinessa, for example, that needs continuous re-position, it is good to give a nice damage output, while you make yourself more sustainable, and as said, without losing your AOE healing abilities. I always use “Nimble” for Seris, in the “Soul Collector” talent case, I may also use “Morale Boost” to make this “soul gathering” far more frequent and easy to do. I also emphasize on offensive items, depending the situation. If there are many self-heal flankers, or any well self-sustained characters, I definitely go for the highest “Cauterize” level possible. After you come to understand which enemy champion focus you the most, choose the suitable “Defensive” item. 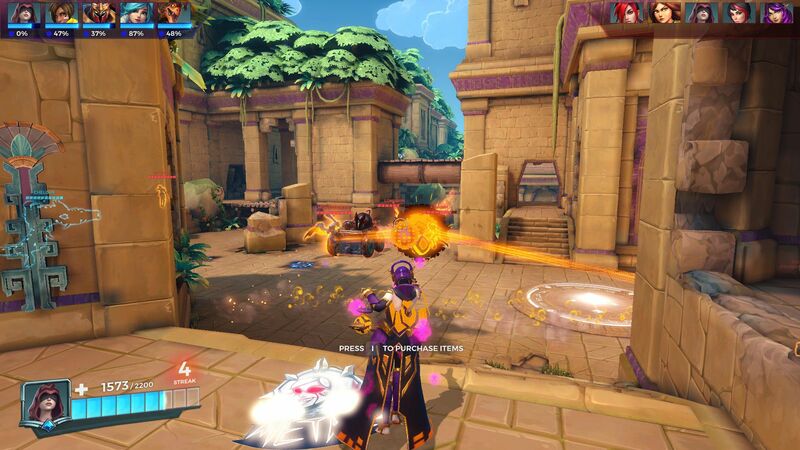 For example, if an enemy Skye focus you, you should get some “Illuminate” to reveal stealthed enemies and “Haven” to reduce direct damage taken. “Agony” is equally favorite of mine as the “Soul Collector” talent, especially now that AOE heal is by default in the abilities of Seris. By using this talent, Rend Soul applies a 1.5s stun to the victim when they are afflicted with 4 Soul Charges. This ability is an excellent choice when you are in solo que, or with a team that hasn’t completely figured out how to protect their healer from flankers just yet. When you see a flanker coming towards you aim for the stun. Do not immediately detonate after reaching 4 “Soul Charges“, instead, go for the highest damage possible and then detonate. 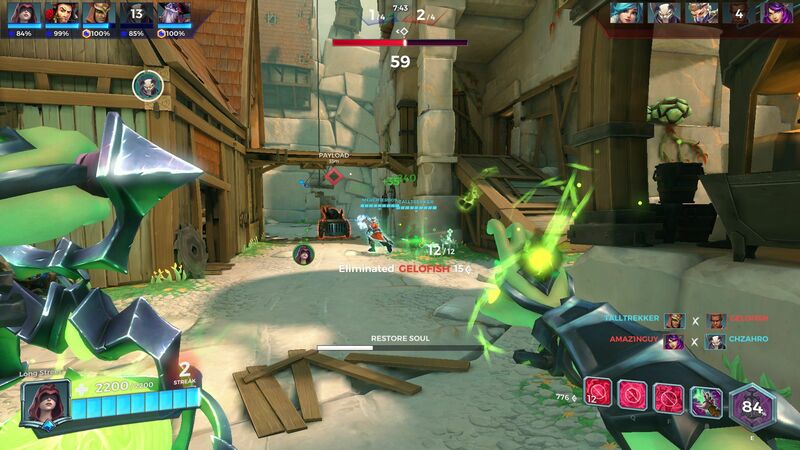 Flankers like Evie, Androxus or Talus, can easily escape if they are not dead and gone by the end of the stun. No matter the talent, I always use “Nimble” item, which helps me escape faster, finish a kill almost ready to escape, or heal those in need as soon as possible. Flankers that self-heal need “Cauterize“, and never underestimate that. Also aim for either The proper damage-reduction item (AKA “Haven” or “Blast Shields“) and “Illuminate” or “Resilience” if needed. Otherwise, aim for “Morale Boost” or “Master Riding” for long maps. As for the healing ability of hers, is the strongest one among the healers of the Realm. “Mortal Reach”, can increase the range of the “Restore Soul” talent by 300%, and the duration of it as well for 1s. This ability is must when you are with the classic-team-build, solo healer and two tanks, one tank that captures, and one to push enemies back. This significantly high increase of heal, can easily sustain two tanks, and its better used when you are sure that the team you are with understands everything about proper positioning. By using this talent though, you will be less able to protect yourself from sneak attacks, so it is suggested to stick with your DPS or your “aggressive tank” so you can help each other out on harsh situations. 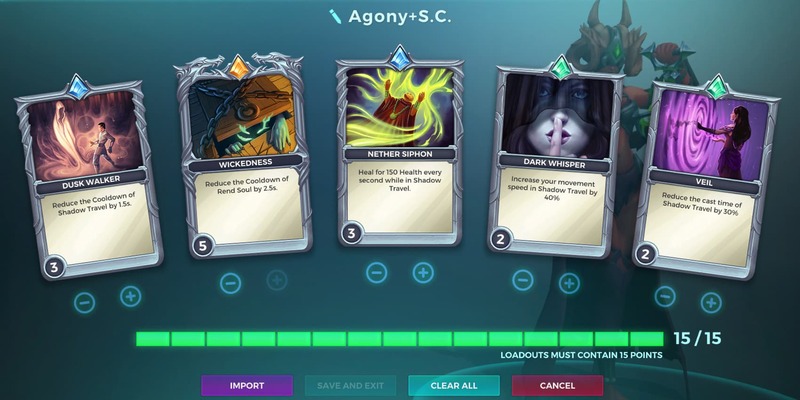 If again, my team has self-sustainable tanks like Khan or Fernando using “Formidable” talent, either tanks that get extra heal when shielded, which is a usual card for some tanks, I prefer to use “Agony” or “Soul Collector“, to keep myself safe from flanks all the time. “Nimble” is the first pick in any situation and go for at least level 2 before get to buy another item, and this applies on evet champion. Don’t buy items level 1 and then move onto the next item. It doesn’t really help you. Then I will focus on “Morale Boost” or “Master Riding” for a long map. Try to figure out which enemy champion focus you the most and buy the suitable defensive items. You might need more than two defensive items if there are CC abilities on enemies that may stun you or slow you, you might need “Resilience“. As they say, better be safe than sorry! Blood Pact (5): While channeling Restore Soul you heal yourself for 70 (350) Health per second. Soul Forge (5): Reduce the Cooldown of Restore Soul by 0.5s(2.5s). Nether Siphon (2): Heal for 50 (100) Health every second while in Shadow Travel. Dusk Walker (3): Reduce the Cooldown of Shadow Travel by 0.5s (1.5s). Nether Siphon (3): Heal for 50 (150) Health every second while in Shadow Travel. 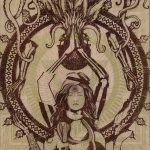 Dark Whisper (2): Increase your movement speed in Shadow Travel by 20%(40%). Blood Pact (2): While channeling Restore Soul you heal yourself for 70 (140) Health per second. Dark Whisper (1): Increase your movement speed in Shadow Travel by 20%(20%). Feel free to post you own opinions and recommendations on the loadouts. They are more than welcome! For the mortal reach loadout you will never need bloodpack past level 3 as long as you have soul forge at 5. 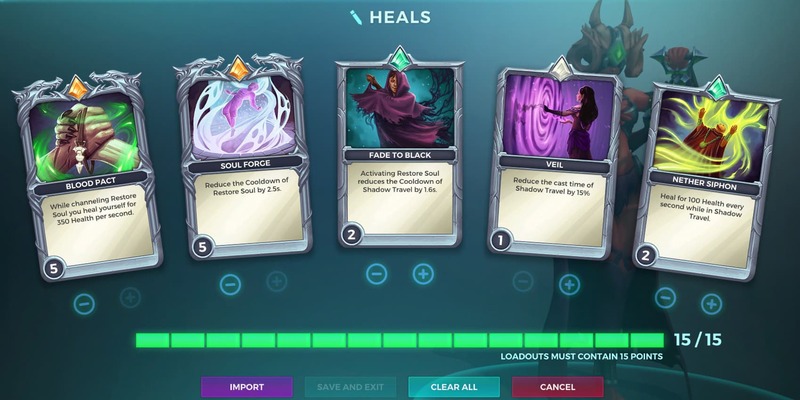 Soul forge is madatory in any seris healing loadout. Thank you for the feedback it is a pleasure to discover other playstyles and cards combinations! 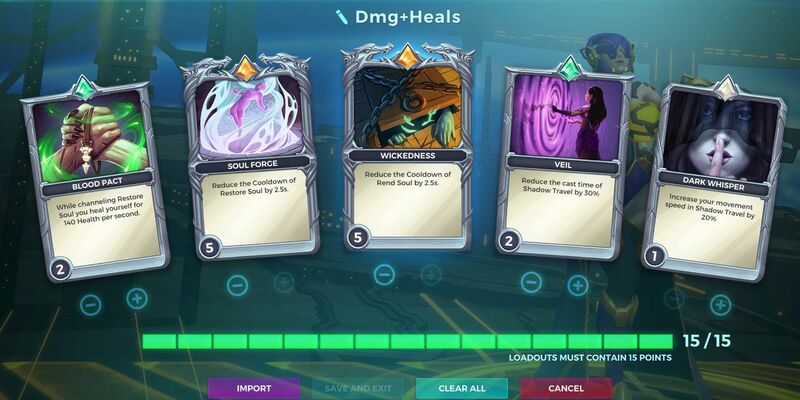 I always use “Nimble” as main item selection for Seris so I never needed extra movement speed cards. But there are times that I would love to skip it as a first item because some “Resilience” or so would serve me better. So yes, I would like to use this loadout on times like these, and I find it an excellent idea!